This article is sponsored by Med-X, Inc., an emerging cannabis company working to secure equity crowdfunding for its venture. 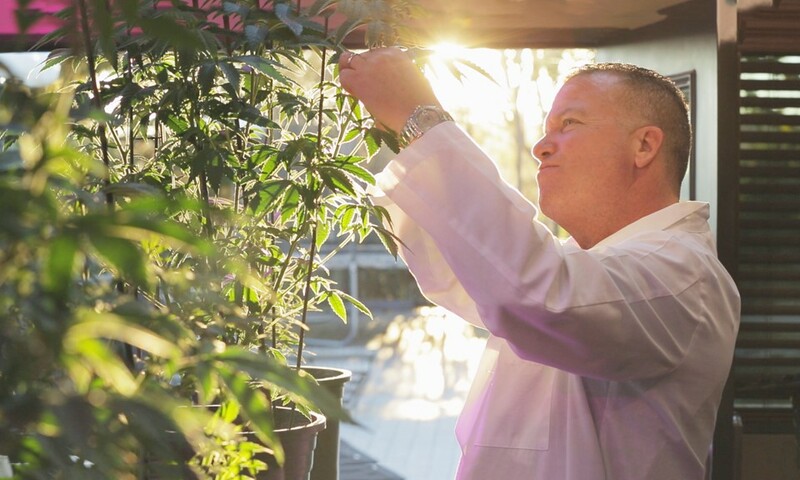 By innovating all-natural products, Med-X will provide safe and healthy cultivation practices and education to the emerging $3 billion cannabis industry. On June 19, 2015, the floodgates of equity crowdfunding were opened with a historic legislative provision: Regulation A+ of Title IV of the Jumpstart Our Business Startups (JOBS) Act of 2012. And with cannabis among the fastest-growing industries in America, it was only a matter of time (and a short one at that) before the two nascent industries collided. On December 16, 2015, Med-X, Inc. became the first cannabis company in the nation to kick off an equity crowdfunding campaign. Signed into law by President Obama, the JOBS Act tasked the U.S. Securities and Exchange Commission (SEC) with developing and enacting regulations that both “facilitate capital formation and promote investor protection,” with an eye toward bolstering the national economy. With the SEC’s enactment of Title IV, individuals without accreditation became eligible to invest directly in private companies for the first time since the 1930s. Unlike on standard crowdfunding platforms like Kickstarter and Indiegogo, equity crowdfunding allows investors to receive a compensatory stake in the company, instead of the company amassing money given freely by participants. In effect, the SEC’s decision opened the door to millions of accessible dollars that private companies hadn’t been allowed to reach for, let alone touch, in the past. Yet this money wasn’t just ripe for the taking. Before becoming the first cannabis company to pursue it, Med-X spent years laying the groundwork for a multi-faceted company that not only earned the qualification from the SEC but also appealed to an intrigued yet tentative audience of potential cannabis industry investors. Med-X was officially founded in 2014, but co-founders Matthew Mills and Dr. David Toomey, along with Med-X board member Dr. Allan Kurtz, had been networking together since 1999, and the idea for Med-X had begun percolating as early as 2011. Explains COO Mills, “We decided when this sector started to ripen, ‘Hey, we could create a lot of jobs and get cannabis into a more natural state where it’s safer for everyone.’” Given the medical background of Dr. Toomey and others on the team, the company took a natural “first, do no harm” stance on medical cannabis, espousing principles of health and education and positing that the products used to grow and cure medical cannabis should be strictly regulated. In the five years leading up to the company’s official launch, the founders worked on research and development of the Nature-Cide All-Purpose product line, Med-X’s all-natural and exclusively licensed insecticide. Nature-Cide All-Purpose was registered with the EPA in all 39 of the required registration states, and the product began to receive acceptance and approval from the agricultural departments of states including Washington and Colorado for use on cannabis. At the same time, Med-X set out to expand into cannabis education and cultivation. The company launched The Marijuana Times, a digital media magazine, and built a laboratory for the cultivation, extraction, and research of concentrated high-CBD medical cannabis strains. Before any companies, cannabis or otherwise, could pursue equity crowdfunding, they would need to qualify with the federally-administered SEC. Given cannabis’s problematic presence on the federal government’s list of Schedule I drugs, Med-X was aware that the nature of its business might be a sticking point. Still, it was among the first to apply and receive qualification once Title IV had been enacted. Cannabis Investment: Why Equity Crowdfunding? Shortly after Title IV went into effect, equity crowdfunding marketing agency CrowdfundX (unaffiliated with Med-X) accepted Med-X as one of its inaugural clients. Given that Med-X had seen success in securing traditional funding from accredited investors, the team is frequently asked why it chose to pursue equity crowdfunding, too. This spirit of inclusion mirrors the communal spirit that has traditionally surrounded and supported the cannabis industry regardless of its legality. Admittedly, as the first cannabis company to pursue these sorts of investments, Med-X must contend with the newness of equity crowdfunding (and accompanying confusion over rules and regulations), as well as potential hesitations of would-be investors as they consider whether to participate in an industry that has yet to be legalized federally. Still, Med-X contends that its team’s combined years of experience in natural product development, digital media, medicine, and finance will be enough to quell investor uncertainties. To date, Med-X has received over $1.2 million in reservations. While these indications of interest are non-binding, they do suggest that Med-X’s conjectures aren’t unfounded. There indeed seems to be a receptive market for crowdfunding cannabis and an engaged community willing to bring legitimacy to a highly stigmatized industry. To learn more about Med-X, visit their equity crowdfunding campaign page at https://www.startengine.com/startup/med-x. An offering statement regarding this offering has been filed with the SEC. The SEC has qualified that offering statement, which only means that MED-X, INC. may make sales of the securities described by that offering statement. It does not mean that the SEC has approved, passed upon the merits or passed upon the accuracy or completeness of the information in the offering statement. You may obtain a copy of the offering circular that is part of that offering statement from. This campaign may contain forward-looking statements regarding predicted business performance, operating results, financial condition and other aspects of the company, expressed by such language as “expected,” “anticipated,” “projected” and “forecasted.” Please be advised that such statements are estimates only and there is no assurance that the results stated or implied by forward-looking statements will actually be realized by the company. Forward-looking statements may be based on management assumptions that prove to be wrong. The company and its business are subject to substantial risks and potential events beyond its control that would cause material differences between predicted results and actual results, including the company incurring operating losses and experiencing unexpected material adverse events. 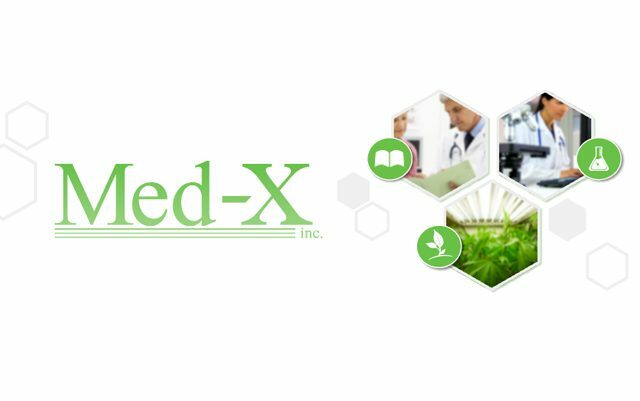 Med-X Inc. is an emerging cannabis company working to secure equity crowdfunding for its venture. By innovating all-natural products, Med-X will provide safe and healthy cultivation practices and education to the emerging $3 billion cannabis industry.